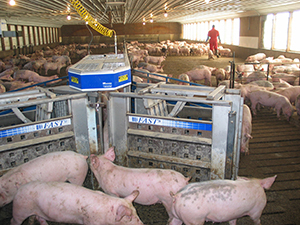 Our automatic sorting technology makes it possible to efficiently manage animals in very large pens, it also creates a social culture among the animals where they learn to sort and load for market without stress which improves meat quality. 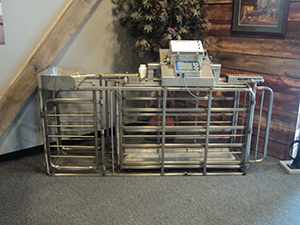 This opens the door to even more technological advancement for food safety and the automatic management of nutrition and health in individual animals.HerdStar Sorting Scale Indicators offer four sorting modes with smart features for easy split-weight feeding, training and sorting for sale, plus simple sorting. It also has the largest screen in the industry with the ability to display graphics and full sentence menus. With its own microprocessor and memory it has the unique ability to be disconnected from the SJB 500 without affecting the Scale’s current operational mode. It also stores summaries of each day’s events for up to 250 days. With our patented ESP (Electronic Sense of Position), the scale adjusts gate control to varying animal weights without the need for adjustable sensors or switches.